The engineering management program is best described as a master’s degree in general management with a technological orientation. You’ll learn the tools needed to effectively manage and participate in the decision-making process, while leveraging your technical background. The Master of Science in Engineering Management (MSEM) program is a technology-oriented management degree designed to meet the needs of engineers, business managers, and other professional and technical personnel desiring to strengthen their management and leadership skills. Graduates of the program possess broad business management knowledge and skills and are prepared to move into leadership positions in a wide range of industries. The MSEM program is based on the philosophy that, for companies to grow and compete domestically and internationally, their managers and leaders need a deep understanding of technology, management and effective leadership principles. Faculty members have extensive business experience and are committed to mentoring students to increase students’ value to current and prospective employers. Areas of particular emphasis include organizational leadership, project management, operations management, financial management, technical sales and marketing, entrepreneurship, quality and continuous improvement, policy and strategy, supply chain management, and international business. The blended Internet option creates a pathway for students to complete the MSEM in less than two years. Blended Internet delivery combines the rich faculty/student interaction that is the hallmark of an MSOE education with the flexibility of online learning. The amount of time students spend in class is reduced, while time spent on project-focused learning is enhanced. MSOE’s blended classes meet fact-to-face during alternating weeks. Meetings occur during the evening on “even” numbered or “odd” numbered weeks each academic term. Online learning activities are scheduled during non-meeting weeks and are facilitated via MSOE’s Blackboard instructional platform. 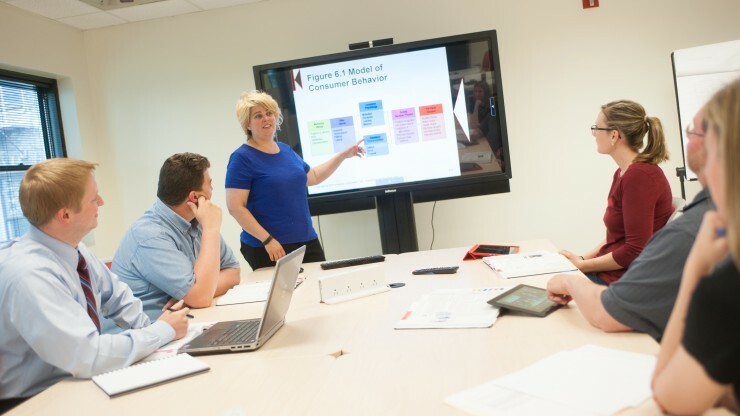 Digital lectures, interactive discussions, investigative case studies, computerized simulations and synchronous chats are examples of online learning experiences used by MSOE faculty. Geography is not a constraint for students interested in completing the MSEM at a distance. In addition to the Blended, Internet format mentioned above, there also is an option to take courses via 100% online distance delivery. 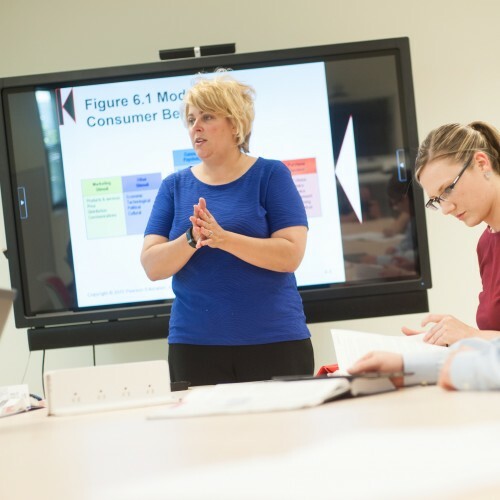 The rich faculty, student interaction that is the hallmark of the MSEM is replicated in online classes creating dynamic and flexible learning environments. Students can choose which format best fits their lives, while advancing their learning and professional skills. Read more about MSOE's M.S. in Engineering Management graduate degree.